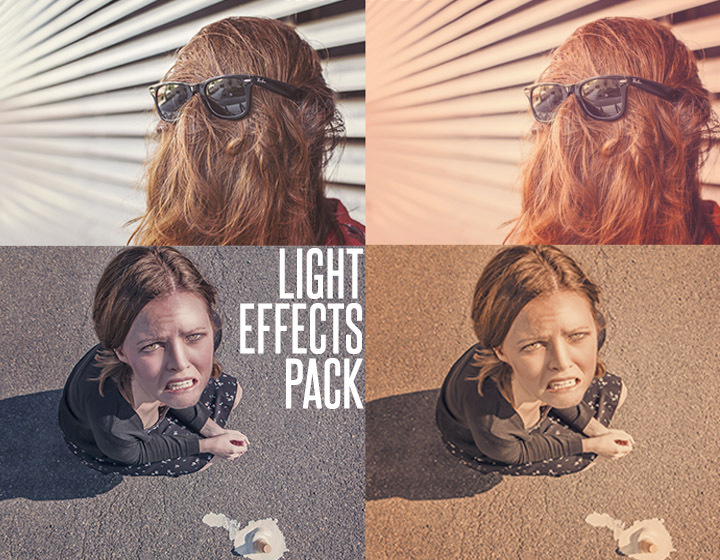 Create awesome scenes and photographics with this lights effects actions pack. Light Effect Photoshop Action is a set which contains 6 different light effect actions. 2 different files, one of these with 4 different light styles. No plugin requierements. Easy to use. Download Light Effect Photoshop actions and have a high definition effect for your pictures of design. Download now this photoshop actions pack or check other add-ons here.